What can you say about a bird walk that begins with an Osprey catching a fish and a Black Skimmer show (above)– all in the first 15 minutes! 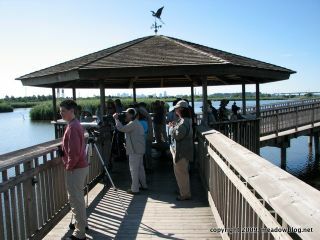 The NJ Meadowlands Commission and Bergen Audubon wish to thank all the birders of all skill levels who participated in the holiday weekend walk. The Bergen Record's story on the walk is here, with a schedule of upcoming NJMC/Bergen Audubon walks. Not only did we see plenty of neat birds, but we also saw a few neat butterflies, including a glimpse of one that was either a comma or a question mark. For now, it remains a question mark. (Which reminds us — our next NJMC/Bergen Audubon walk is a butterfly walk on July 19. 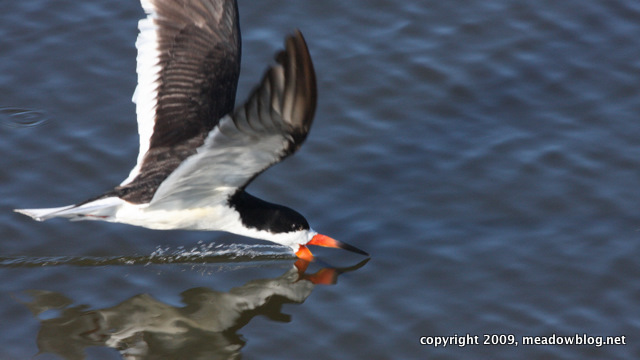 We plan to post a list of all the birds seen on the July 6 walk when it's available. E-mail Jim Wright here is you would like to rsvp for future walks or to join our e-mail alert list for rare bird sightings and upcoming events. 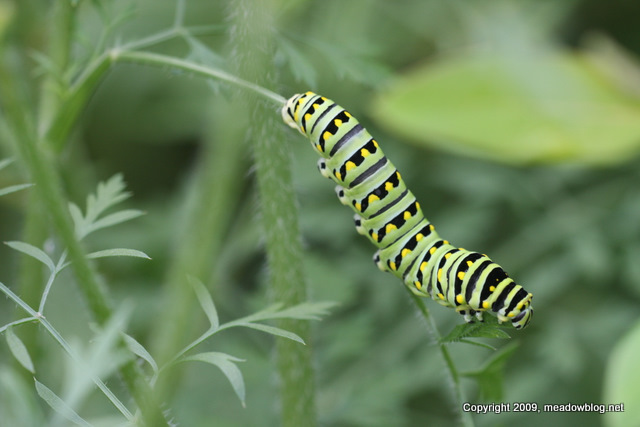 We saw this awesome caterpillar last week near the Carillon on Disposal Road. Click "Continue reading …" for a close-up, a shot of its host plant and what kind of butterfly (we hope) it will become one day.